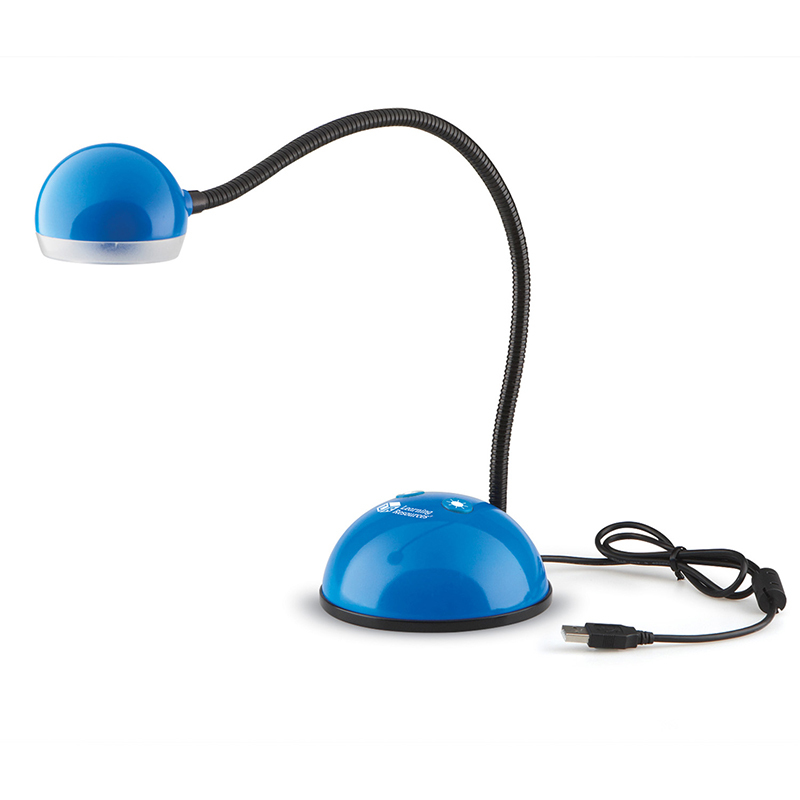 The Luna 2.0 Document Camera can be found in our Misc. product category within the Audio/visual. Contemporary new design and enhanced image quality meets reliable simplicity. Easy-to-use digital projection camera is also a web cam and photo/video camera. Great for students' multimedia projects across the curriculum or whole-class demonstrations of manipulatives in action, book pages, science models, and more. Connects via USB port to use with your computer or interactive whiteboard. Features 3.0MP digital images, adjustable gooseneck, auto focus, and 8 LED lights. No batteries required. Compatible with PC and Mac. Measures 20″H.